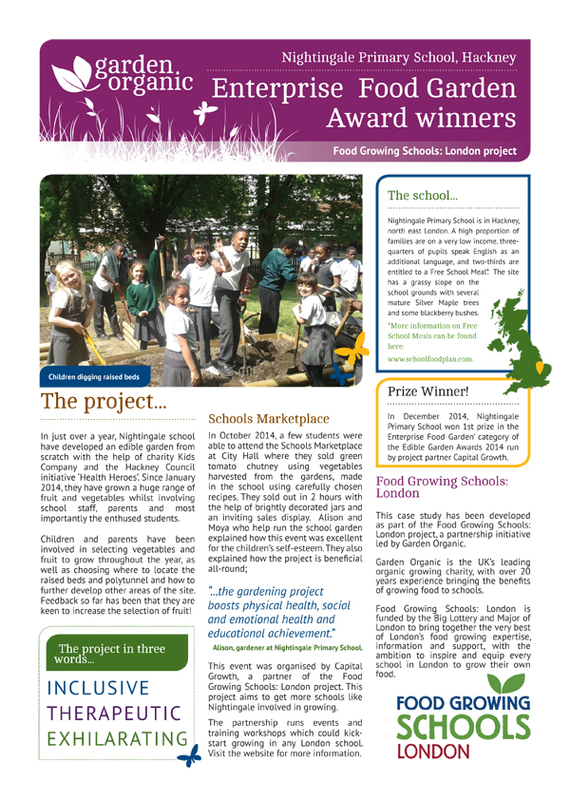 Food Growing Schools: London are inviting all the schools in Barnet interested in food growing projects to a forum at Chalgrove Primary School, Chalgrove Gardens, Finchley, N33PL on Wednesday 22nd June from 3.30 to 5.30pm. This forum is a chance to gain inspiration and ideas from another food growing school, share ideas and learn something new through a seasonal activity run by Food Growing Schools: London. We would also like these forums to act as a swap shop, so please bring along seeds, plants, tools and educational resources you would either like to share, give away or swap with other schools. There will be also plenty of free seeds and resources available from Food Growing Schools: London. These forum meetings are open to anyone from Barnet schools involved in or wishing to develop a food growing project including staff, parents, volunteers.